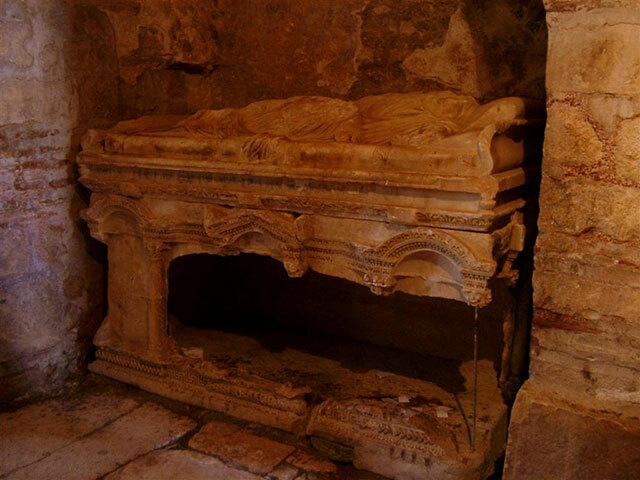 The tomb of St. Nicholas, the historical inspiration for Santa Claus, in the ruins of a 4th century church in Turkey. The ruins of an ancient Byzantine church in Demre, Turkey hold what is believed to be the original tomb of St. Nicholas, the 4th century bishop whose name has become synonymous with gift-giving. Nicholas’ miraculous and charitable acts were well-known in his time. It is said that he made anonymous donations of gold coins to a poor family, saving the daughters from a life of slavery and prostitution. 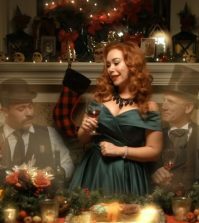 A medieval tradition grew around this story, leading to the gift-giving custom of St. Nicholas Eve on December 5th. 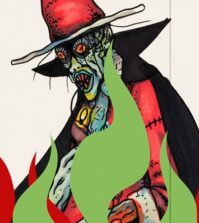 In another legend, a butcher was luring children into his home to murder them, cut them up and sell them in barrels as food during a time of famine. When an angel told St. Nicholas of these atrocities, the bishop went to the butcher’s home just in time to restore life to three boys before they could be eaten. Though his name is not included in the records, history claims the good saint attended the Council of Nicea in 325. He was apparently kicked out for slapping the heretic Arius. 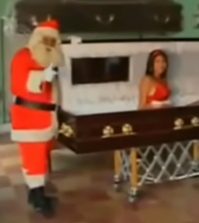 Upon his death, commonly accepted as December 6 of some year between 330 and 352, St. Nicholas was interred in the church where he served, in what was then called Myra. He became known as the patron saint of sailors, travelers, thieves and children. Christians made pilgrimages from all over to visit his tomb. In 1087 his sarcophagus was broken open, the remains stolen by Italian merchants following an attack from Muslim invaders that damaged the church. The thieves took the bones to a cathedral in Bari, Italy, where they believed they would be safe. 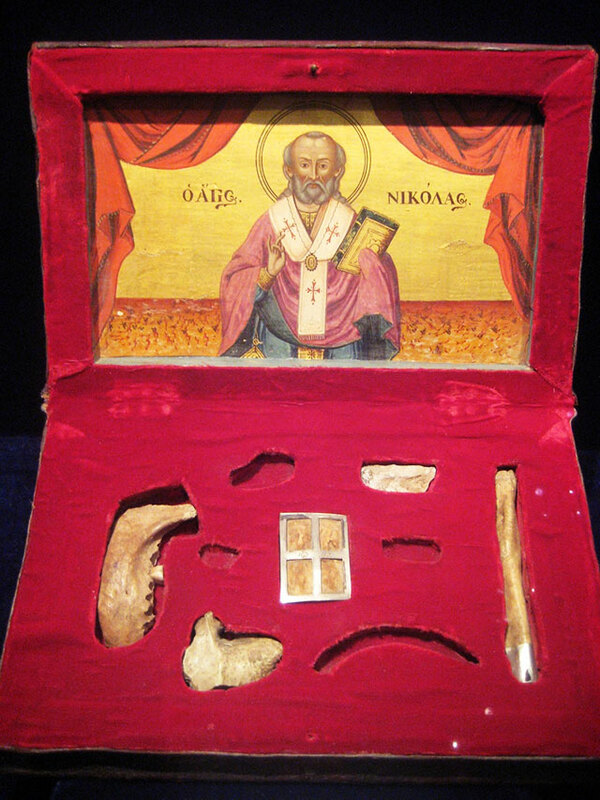 The Relics of St. Nicholas can be seen today. 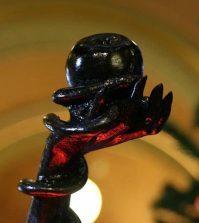 Part of a mandible and other small bits of bone are on display in the Basilica di San Nicola in Bari. An oily liquid, known as Manna di S. Nicola or santa manna, is said to flow from them. It is highly valued for its supposed medicinal properties, extracted ceremoniously once a year on May 9th. While our modern Christmas traditions are sadly devoid of cannibalism and prostitutes, the legends of St. Nicholas still pervade our holidays nearly 1,700 years later. The name Santa Claus was derived from Sinterklaas, the Dutch name for St. Nicholas.